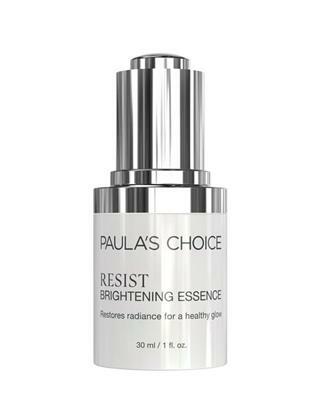 The Resist Intensive Wrinkle-Repair Retinol Serum from Paula's Choice is a modern anti-aging serum and contains powerful antioxidants and skin-repairing ingrediёnten high stabilized retinol, reducing wrinkles, skin is smoother, firmer and more radiant look like. The anti-irritant ingrediёnten soothe sensitive skin and reduce redness. 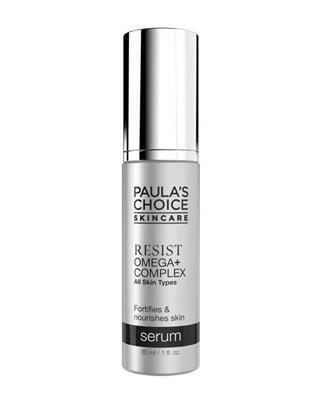 The Resist Intensive Wrinkle-Repair Retinol Serum from Paula's Choice contains the following ingredients: Cyclopentasiloxane (silicone slip agent/suspending agent), Dimethiconol (silicone slip agent/suspending agent), Neopentyl Glycol Diheptanoate (skin-conditioning agent), Dicaprylyl Carbonate (emollient), Caprylic/Capric Triglyceride (skin-repairing ingredient), Phenyl Trimethicone (silicone slip agent), Squalane (emollient), Bisabolol (anti-irritanting agent), Tetrahexyldecyl Ascorbate (stabilized vitamin C/antioxidant), Retinol (antioxidant/cell-communicating ingredient), Tocotrienols (vitamin E-based antioxidant), Tocopherol (vitamin E/antioxidant), Lecithin (cell-communicating ingredient), Laminaria Ochroleuca (Kelp) Extract (anti-irritant), Avena Sativa (Oat) Kernel Oil (anti-irritant), Elaeis Guineensis (Palm) Oil (skin-repairing ingredient), Stearyl Glycyrrhetinate (licorice-derived anti-irritant), Hexylene Glycol (slip agent), Caprylyl Glycol (emollient), Ethylhexylglycerin (skin-conditioning agent), Phenoxyethanol (preservative). Paula's Choice is known that they only use ingredients that are 100% safe and proven to be effective. Where possible, Paula's Choice choose ingredients from sustainable sources. Paula's Choice products treat all skin problems successfully, pimples to wrinkles, rosacea, sensitive skin, sun damage, dry or oily skin and blackheads. They are 100% guaranteed to be effective for your skin type and skin problems. Through a unique combination of research, product reviews and continuous product development, women all over the world fo for Paula's Choice because of the objective, informed and documented information about what is and is not good for your skin. Paula's Choice rejects animal testing for cosmetics. Paula has over the 30 years that she writes about the beauty industry has always spoken strongly against testing cosmetics on animals. Paula's Choice has never done testing and will never do. Paula's Choice Skin Care products do not contain fragrances and dyes. Paula’s Choice is the innovative skincare brand of Paula Begoun, also known as the ‘Cosmetics Cop’. With 20 bestsellers to her name and as the founder of Beautypedia, she can rightly be called a beauty expert. Her skincare range consists of effective, complete skincare routines with high concentrations of active ingredients. Honesty, transparency and scientifically proven effective ingredients form the basis here. The whole range is free from perfume (both synthetic and natural) and contains no dyes, so as to minimize any allergic reactions as much as possible. 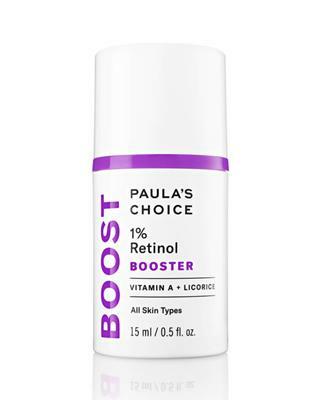 ‘The best skin of your life starts here’ with Paula’s Choice products! Gebruik dit nog te kort om iets te kunnen zeggen over de werking maar het voelt prettig aan op mijn gezicht. This is my favourite product, EVER! I got a free travel size version from Cosmania as part of a promotion and now I've now got the full size bottle. Its seriously like some kind of MAGIC POTION. I have oily/combination/dry skin - its a nightmare. I get spots, rosacea, dry patches etc. I use this product in the evening after cleansing. You only need 1 pump for your full face, it looks super oily when you apply it but within 2 minutes its sunk in. In the morning my face is not oily at all! (small miracle). My rosacea is calmed and I have no dry patches. I only have very fine wrinkles around my eyes but this serum keeps them in check. It also makes your skin look hydrated and supple - like you had 20 hours sleep when in fact you only had 3. After the very first use the only way I can describe it was in the morning it looked like someone had photoshopped my face. Its not tested on animals, the product last forever before you need to replace it, it makes me look like I have beautiful skin. What more can you ask for?